Tyrel Iron Eyes spreading the word at the contact table. On Nov. 10, two men plead guilty to killing Karla Yellowbird. Yellowbird was shot during a robbery, and the men are now awaiting sentencing on all three charges, including second-degree murder. 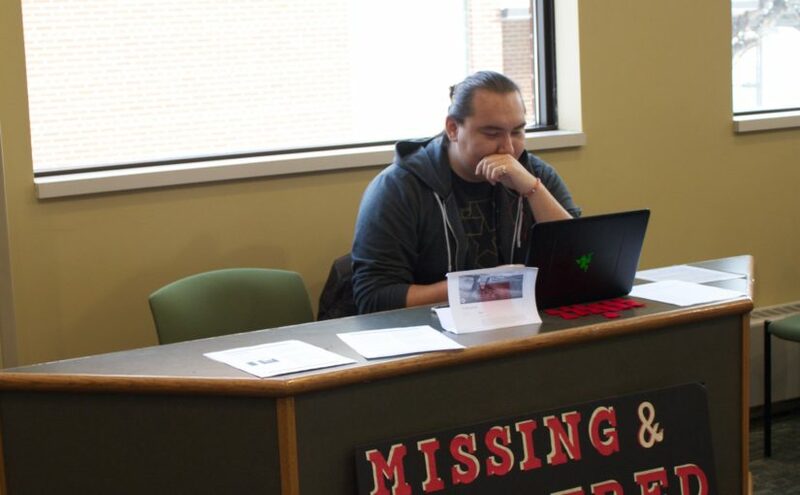 Yellowbird’s family is not alone in their grief, according to information provided by the Native American Student Association at North Dakota State. 84 percent of Native women experience violence in their lifetime, and these women experience a murder rate 10 times that of the national average. Missing and Murdered Indigenous Women (MMIW) has become a hashtag and battle cry for regional and international groups fighting this issue. NDSU student Tyrel Iron Eyes is part of the Standing Rock Sioux and Lakota Tribe in North Dakota. He is also the president of the Native American Student Association. According to Iron Eyes, this issue has thankfully never touched him directly, but he said he is only a couple generations removed. Iron Eyes said his grandfather had relatives that went missing. The Savanna LaFontaine-Greywind case made an impact on Iron Eyes. “It was the first time something like that was happening close to me,” he said. The full acronym is actually MMIWG, with the G standing for girls. Iron Eyes said a lot of the missing and murdered are not adults. “It makes me sad, and it makes me angry,” Iron Eyes said. He also said getting the word out through his work with the Native American Student Association is his way of helping at this point. Until comprehensive action is taken, there will be no end to this situation, according to Iron Eyes. He said what form this action will take is a mystery to him, but that getting published numbers on the record would be a step in the right direction. “When you don’t have those numbers, it’s easy to say, ‘The facts that you’re giving me are made up; they’re not real; this isn’t a real problem.’” Iron Eyes said. Once those statistics are on the record, it’s easier to provide evidence for the ongoing struggle, according to Iron Eyes. Since LaFontaine-Greywind’s disappearance and death in 2017, a bill titled “Savanna’s Act” has been introduced. 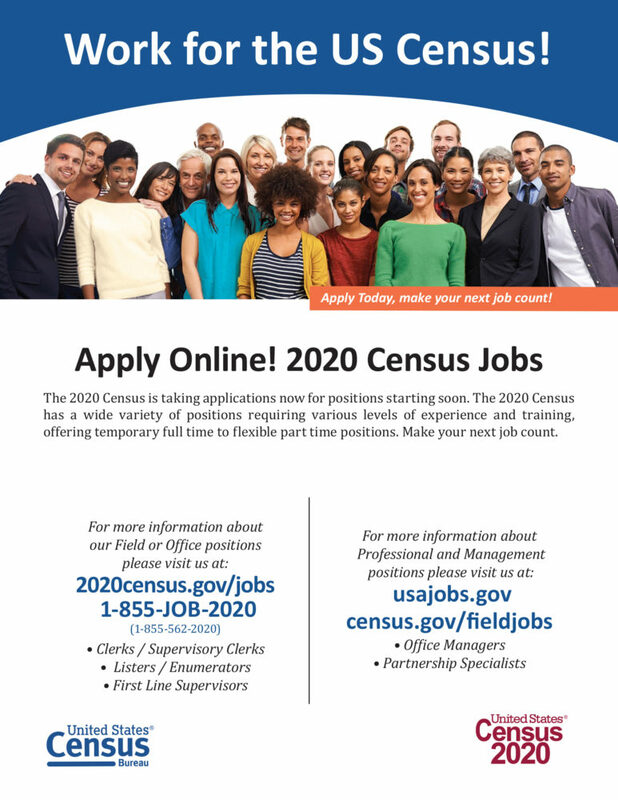 The act would require the Department of Justice to change the database guidelines to include tribal identification. This would ensure that the government wouldn’t be blind to this issue. In Canada, this was declared a national crisis, and a national inquiry into this issue has been ongoing. Iron Eyes said he hasn’t seen the same cohesive plan by the United States. 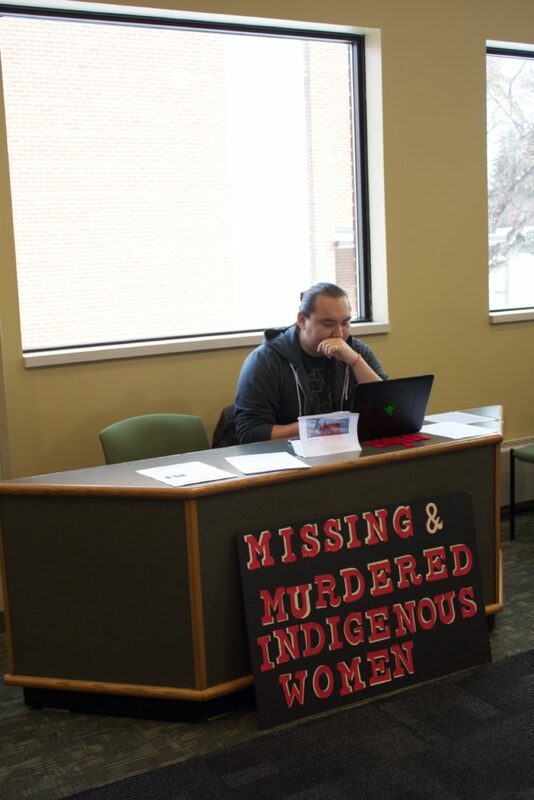 Some people who came up to Iron Eyes at his contact table in the Memorial Union showed knowledge about the issue. “People have come up, and they have brought their own experiences and knowledge if they have any,” he said.